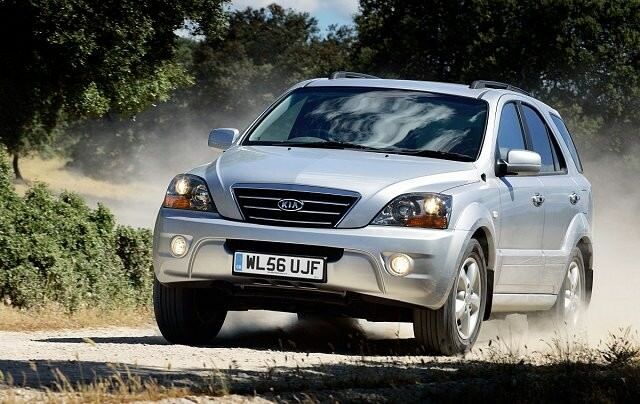 Introduced in 2002 the Kia Sorento offers budget-conscious buyers a spacious and capable SUV alternative to cars in the size category below. Introduced in 2002 the Kia Sorento offers budget-conscious buyers a spacious and capable SUV alternative to cars in the size category below. Kia’s usual budget-friendly pricing, decent specifications (even on entry-level cars) and the sheer size of the Sorento made it popular for those wanting a versatile family or working vehicle. Its body-on-frame construction may not be the last word in sophistication, but it’s strong, making the Sorento an adept performer off-road. A sensible, solid purchase new, the Sorento offers a lot of space and ability for almost any budget as a used vehicle - and should prove reliable, too. Kia might have offered the Sorento in different markets with a choice of engines, but here in Ireland there’s only one choice - a 2.5-litre turbodiesel. The four-cylinder unit might not be the quietest engine out there, but what it loses in refinement it makes up for in ability. Pulling hard the turbodiesel is a real workhorse, which is why the Sorento has always been a hit with those who need a strong towing vehicle. It delivers 140hp, but it’s the 343Nm of torque that defines it. Kia has made great progress with its interiors in recent years, but the Sorento still has half a foot in the old-school camp. That means some rather shiny and hard looking plastics inside; that said it’ll be robust and easy to keep clean. Space is good for five adults and the boot is vast. That body-on-frame construction does mean it’s not the most sophisticated machine to drive, with a lot of roll in the bends and a rather unsettled ride quality, but don’t ask too much from it and it’ll cruise comfortably enough. The usual mix of trim levels is offered, with EX, XS and GSE as well as commercial variants, while five-speed manual and four-speed automatic gearboxes are also offered. Most come with two-tone exterior paint, air conditioning and alloy wheels, the Sorento also offering a selectable four-wheel drive system to allow it to run two-wheel drive when you don’t need the additional traction on offer. Mild styling revisions were introduced in 2007 when the Sorento was refreshed, with new head- and taillights, a slightly revised interior and a boost in power from 140- to 170hp for the turbodiesel engine. If you’ve got the budget for it those later Sorentos - post 2007 - are the best all-rounders. The 2.5-litre turbodiesel engine benefits from greater go, but without any penalty at the pumps or in terms of emissions. They offer greater equipment as standard, while the styling revisions mean it looks a bit sharper, too. Trim levels depend on what you want, but a GSE comes with everything you could imagine as standard. It might not have the brand cachet of more expensive and smaller rivals, but it than makes up for that on scale and usefulness. A very versatile and reliable large family car that’ll do a great job as a workhorse, too. A solid used buy.